All is well at the central bank/Ministry of Finance Planning and Economic Development as two top officials are reportedly fighting on who among them replaces Emmanuel Tumusiime Mutebile whose third term is coming to an end. 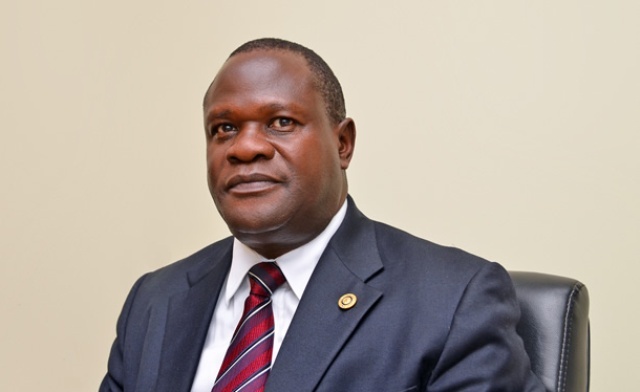 The two are Deputy Governor Dr. Louis Kasekende and the Under Secretary/Deputy Secretary to the Treasury Mr Patrick Ocailap.However, sources say Ocailap isn’t interested as he plans to retire soon. 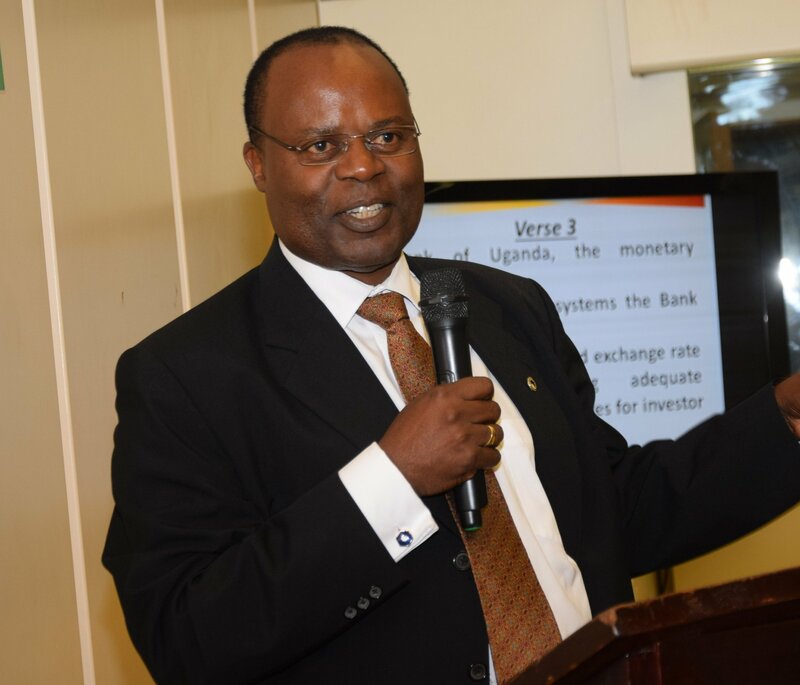 According to sources, it is alleged that Kasekende lobbyist are front the issue his long stay at the central bank and being a Catholic. They claim in the history of Bank of Uganda, Catholics haven’t had a fair deal like other dominant religions. However, the opponents of the above argument reason that Kasekende being a Catholic won’t favour him as his region (Buganda) has had a fair share of top leaders at the BoU and so, those not in favour of Kasekende say it is time for Eastern or Northern regions to produce a governor as both Buganda/Central and Western have had their time. Northern has had Mr. David Opio Okello as Deputy Governor in 2002 while Eastern Region had Mr Bob Elangot. Eagle Online understands that majority of the board members at BoU and key actors in finance are reportedly scouting for Ocailap. Nevertheless, as both camps intensify lobbying, there are connotations that Kasekende and Ocailap aren’t reading from the same page. He was the first governor of the Bank of Uganda. He was appointed governor on August 15, 1966; the day the Bank of Uganda opened. Prior to this he was the General Manager, Uganda Commercial Bank. He died in 1972. Bank of Uganda instituted an annual lecture in his memory known as “The Joseph Mubiru Memorial Lecture” to commemorate his contribution in setting up of the Bank in 1966. He took office on August 30, 1971. Prior to this he had been Managing Director of Produce Marketing Board. After his Governorship in 1973 he was appointed a Minister of State in the Ministry of Finance. He later served as Executive Director for Uganda at the IMF and First Director General of COMESA (The Common Market for Eastern and Southern African States). He was appointed governor onAugust 30, 1973. He had been deputy governor since 1969, having moved from the Treasury. His contract expired on August 30, 1978. He served as governor from October 1978 to February 1979. Prior to that he was Managing Director, Uganda Commercial Bank. He joined politics and parliament in 1986-2016 and became a cabinet minister (1986-2016) and Deputy Prime Minister. He was appointed governor in May 1979 and served until September 1980. Prior to that he had been working with the World Bank in Washington DC since the 1960s. He returned to the World Bank to serve as a World Bank representative. He was appointed governor in November 1981. Prior to that he had served as a deputy governor of the Bank since 1980. He took office as governor on 23 November 23, 1986 and served until 10 November 1990. Prior to that he had been a lecturer of Economics at Makerere University and in a US University. He later became Managing Director of the defunct Greenland Bank. He was a chairman of a political party. Mr. C.N. Kikonyogo served a two five-year term from 1990 to 2000. He rose through the ranks from a Banking Officer when he joined the Bank in 1967, Exchange Controller to deputy governor of the Bank (1975 – 1979). He had briefly served as governor from 22 February 1979 to April 1979. He died in June 2001. In 2001, Mr. Emmanuel Mutebile was appointed governor of Bank of Uganda. Prior to that he had been Permanent Secretary to the Treasury in the Ministry of Finance, Planning and Economic Development.